The short answer is “no.” You should not consistently work out on an empty stomach. The basic premise behind working out on an empty stomach is that, in the absence of current nutrients, your body will burn fat to use as fuel, thus helping you to lose weight. Although there is some truth to this theory, you must consider that when the body lacks energy, it will pull stores from fat and muscles alike reducing your lean mass. If you lose enough lean mass your body will eventually slow down its metabolic rate to conserve energy and this will lead to the storage of additional fat. If that weren’t enough motivation to nourish your body before a workout, consider the quality of exertion you bring to your sessions. Unless you’re a gym rat who loves spending hours at the gym, you will want to make the best out of every workout. When you exercise after a prolonged fasting period, especially in the morning, the level of energy you bring to your session is low and the quality of your exertion reduced, rendering a less than desired outcome. Eating a sensible portion of carbohydrates, such as an apple or an energy bar, 30-60 minutes before exercise will supply your body with the energy it needs for increased performance. Should you eat or drink during exercise? Dehydration, heat exhaustion and heat stroke are high risks during prolonged or intense exercise. Therefore, drinking plenty of fluids before, during and after exercise is paramount to maintain good health. According to the National Athletic Trainer’s Association, the amount of fluids and the types of fluids consumed are important for achieving optimal performance. The carbohydrates and electrolytes in quality sports drinks can help restore fluid loss while also providing muscles with the needed fuel to avoid mental and physical fatigue and poor performance. When the workout is intense or longer than 1 hour you can ensure proper hydration by drinking plenty of water prior to your workout and sipping on a sports drink that is made of six percent carbohydrate solution during and after your workout. On the other hand, if your workout is short or low intensity drinking water is sufficient for proper hydration. What types of food are best after my workout? Whether you are training for a race or trying to lose, gain or maintain muscle mass, the food you consume after hitting the gym may be your most important meal of the day. A demanding strength-based workout creates microscopic tears in the muscle fibers. These micro-tears are part of the tissue remodeling process necessary for muscles to expand and grow. However, lack of proper nutrition may cause extensive tearing and muscle breakdown. Moreover, during training the primary type of energy used is glycogen (a form of carbohydrate), which is stored in lean mass. Depending on the type, duration and intensity of your workout, your muscle glycogen stores may become depleted. Protein synthesis through the consumption of high quality proteins is important to prevent muscle breakdown and enhance recovery and growth. Optimizing glycogen synthesis through the consumption of carbohydrates is equally as important in order to recover muscle stores and increase energy to sustain you for the rest of the day. There is a small window of opportunity following a workout when muscles are depleted and hungry and the absorption of nutrients is enhanced. Eating a protein- and carbohydrate-rich meal within 45 minutes after your workout is your best bet for optimizing your workouts. In order to be successful in your endeavor to better fitness and health, it is important to be sensible not just before and after your workouts, but also throughout the day. Most experts agree that consuming five to six small meals per day, eating approximately every two to three hours is the best way to keep our bodies healthy and our energy at optimum level. Choose high-quality, natural foods that contain proteins, complex carbohydrates, fruits and vegetables; the greater the variety the better. When eating for performance the most important thing to remember is that skipping a meal, whether it be pre- or post-workout, will have a negative effect on your end result. Your body needs energy to function especially during rigorous exercise. So, grab yourself an apple before heading to the gym and never again neglect a post-workout meal…You will feel energized, recover quickly and, most importantly, you will optimize your workout gains. Margi Faze is a certified yoga, pilates, and American College of Sports Medicine group exercise instructor. 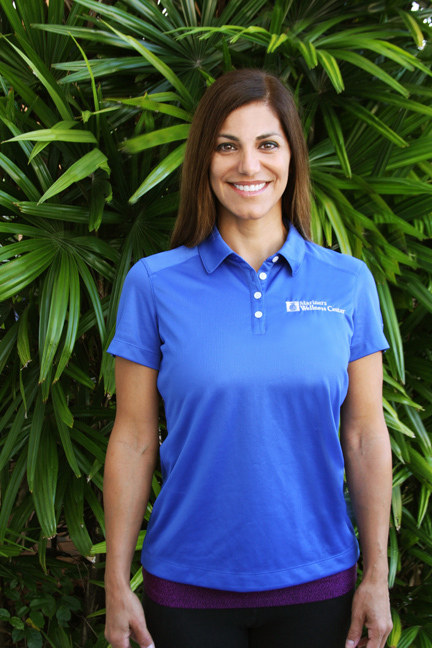 She is a writer and fitness expert from Mariners Wellness Center at Mariners Hospital.